Trade shows have always been a great way to generate new leads and customers if you can get them to actually step into your booth. Most trade shows have hundreds of attendees which can make it hard to stand out with the same old pop up banner and branded tablecloth. You might also be part of an industry that may not always be seen as “fun” which makes it even harder to get people to engage with your booth. There is only so much swag you can give out year over year. This is obviously the point where we tell you that adding a photobooth to your trade show will make it awesome but we promise you this isn’t blog fluff, this is tried and tested in the real world. And here are just some of the ways it may be the most effective addition to your trade show set up ever. People love taking photos. They especially love taking photos of themselves. 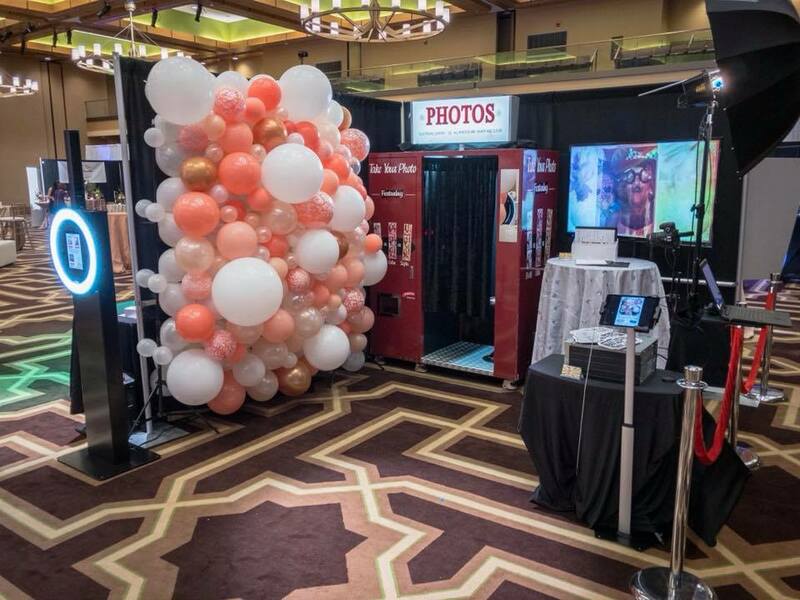 Having a photo booth as a centerpiece creates immediate interest, and visitors will gravitate towards your booth looking for a fun, memorable souvenir. The photo booth is naturally a group experience, so you’ll have people coming in droves with their friends and co-workers. 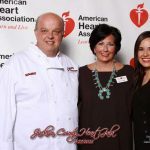 As visitors wait in line to get their picture taken, use this opportunity to promote your services and get to know your audience. Exchange business cards, shake hands, and ask people questions. The photo booth line creates a perfect opportunity to network. After someone takes a photo with a photo booth, that’s not the end of the story. At Snaparazzi we have the ability to create custom backgrounds and custom prints. 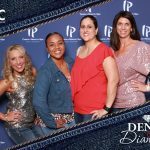 To create a modern, lasting impression, we can also help you develop a social media campaign surrounding your trade show stand’s photo booth pictures. So what’s the big deal? Photo booth users will have a souvenir that conveniently promotes your brand’s social media pages. Furthermore, people are likely to share their pictures on their own social media pages, which allows your brand to reach audiences far beyond the trade show. In addition to your social media page links, you can include a promo code on the photo that people can use for your service. The promo code could be for a free trial, a discount, or a raffle contest. This simple marketing tactic may help convert visitors into paying customers. After a busy day of setting up, networking, selling, promoting, and finally cleaning up, you’ll want to trust that your trade show booth made a lasting impression. Luckily, a photo booth allows for impact even after the show is over. In addition to photo booth users sharing pictures via social media, you can drive trade show visitors back to your website via a landing page for all the pictures taken that day, something we provide as a part of a basic package. Visitors can scroll through the hundreds of pictures taken and enjoy seeing who else got to take some goofy, fun snapshots. With a photo booth in place at a trade show, you make your visitors the stars of the show, while simultaneously creating hype surrounding your brand. A photo booth will always create a lasting, positive impression and people will remember it – and your company – for a lot longer than they would if all they had gotten from you was a free pen!